Nauvoo: This amazing Latter-day Saint changed the art world forever and introduced some of the most enduring symbols of the restored Church. 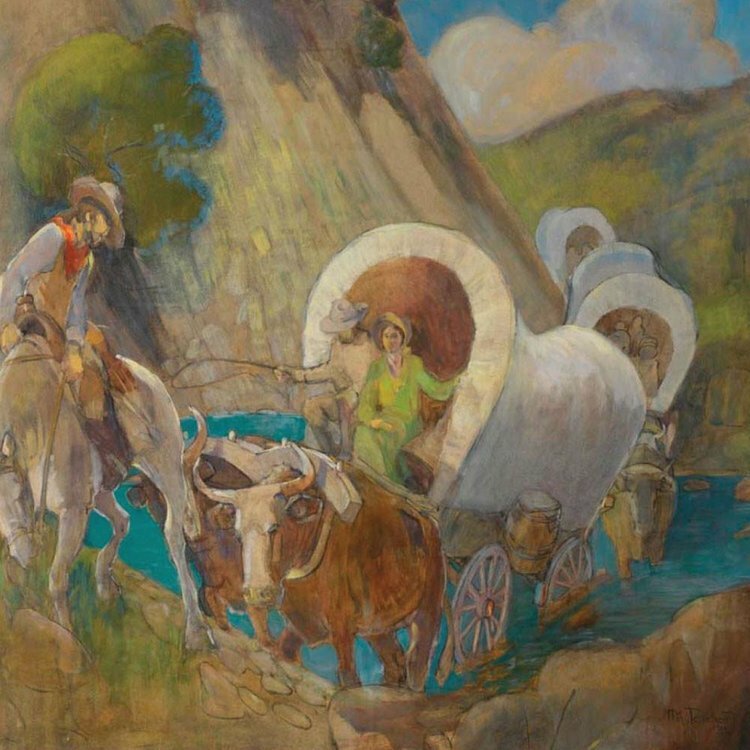 Minerva Bernette Kolhepp Teichert was an American artist beloved for her paintings of Mormon history and the great American west. 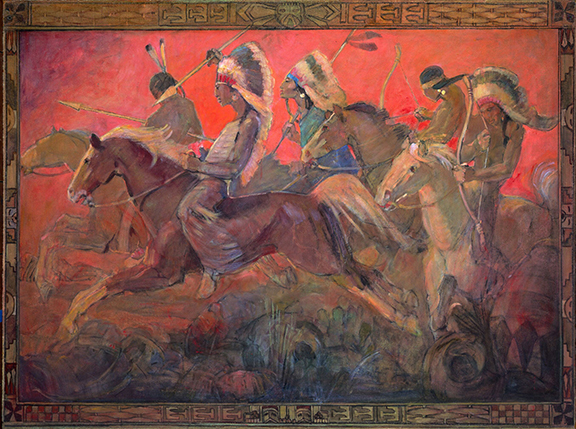 Although her Latter-day Saint art subjects are perhaps her most prominent work, her western paintings depicting scenes ranging from rodeos to American Indians are also highly collectible and sought after. Minerva Teichert was born in August of 1888 in Ogden, Utah the second of ten children. Although she was born in Utah she grew up on a ranch in Idaho in what was as much a part of the American frontier as could be found in those days. With much to do and much more to see, Minerva's mother gave her her first set of paints when she was only four years old. Without any formal education or training she set our on her favorite horse to paint and sketch the wild world around her. At age 14, Minerva took a job in far way San Francisco as a nursemaid or what is known today as a nanny. It was a big move in her life - she was earning money, she saw an art museum for the first time in her life, and she began taking art lessons. It wouldn't be long before she would earn enough money to travel east. Minerva Teichert studied art in Chicago at the Art Institute of Chicago. 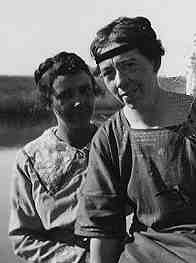 Upon completion of her courses in 1912 she returned to Indian Warm Springs, Idaho to earn more money for art lessons. During this time she began dating a young man named Herman Teichert. However, Minerva was off again after saving up her money - she left Idaho & Herman behind in 1914 and traveled to New York. Minerva studied at the Art Students League of New York, under renowned artist Robert Henri. Henri, who was from Nebraska, was well acquainted with Mormons and wester American Indians. 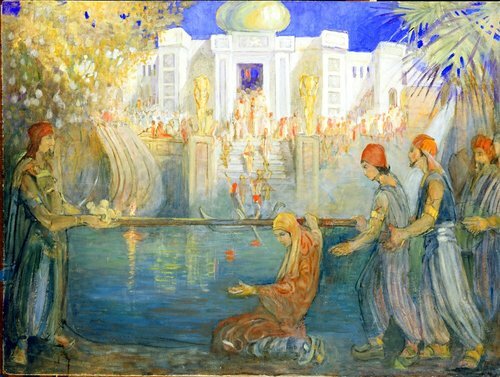 He challenged Minerva to paint the Mormon experience. Robert Henri gave Minerva a scholarship and ranked her among his best three students. Minerva paid for her schooling by sketching cadavers for medical schools. and illustrating children's books. 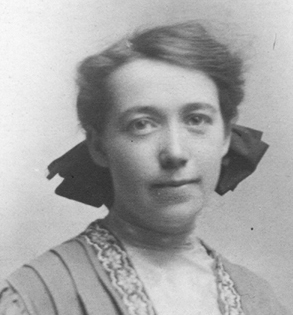 Shortly after returning to Idaho, Minerva married Herman Adolph Teichert. The couple had five children. 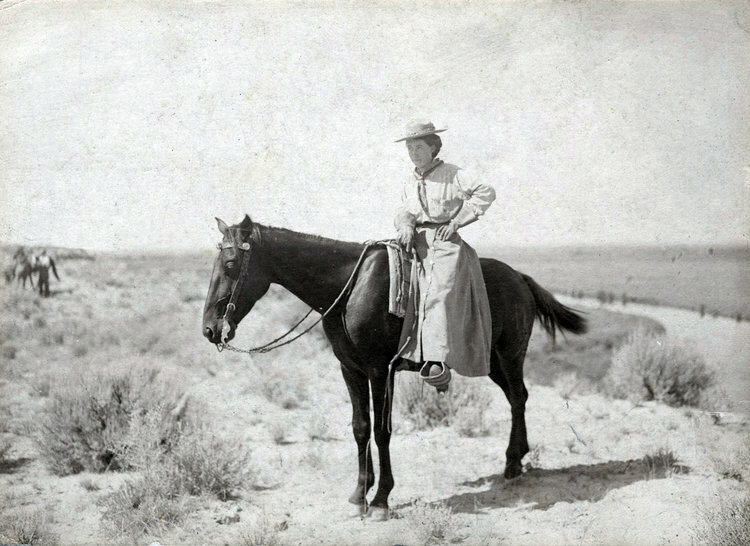 Minerva spent most of her life with her family on a ranch in Cokeville, Wyoming. She never lost her love of painting and although she didn't have the money to buy proper art supplies, she was able to sketch on scraps of wood and paper and paint from time to time. Heroic men & women as well as American western themes would feature prominently in Minerva Teichert art. Scene's of contrasting metaphors such Teichert's painting The Madonna of 1846. It depicts depicts a mother and child in a covered wagon, crossing the plains to settle in Utah. 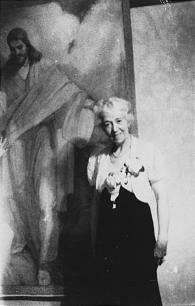 Minerva Teichert painted over 400 murals in everything from public building and homes, to churches and Mormon Temples. 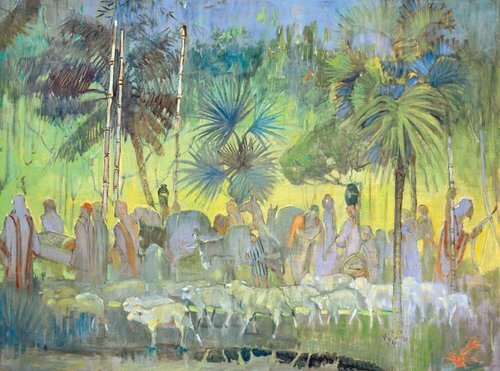 One of her larger commissions was a request to paint 42 murals from stories found in the Book of Mormon. Minerva Teichert art has a distinctive style that can be seen in most of her paintings today. For example Teichert painted much of the clothing in her paintings with patterns, a detail unique to her paintings. She would also include the color red to add contrast. She often left the edges unfinished or just sketched. Many of her paintings are filled with the colors from the desert and feature distant mountains. 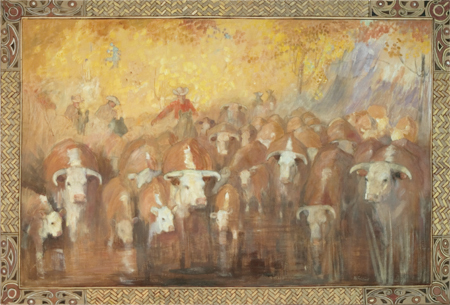 Teichert submitted many pieces of artwork to the church, but in several instances they were rejected, so, she gave the paintings to Brigham Young University to help pay tuition for members of her family. Today, her works can be found on display all around the BYU campus. Towards the end of her life it became clear that her lifetime of art was a monumental contribution to not only the LDS Church historians, but just as much to the western art museums all around. Minerva Teichert art has been featured in most church periodicals and manuals and to this day hangs framed or as murals in most LDS chapels and Temples throughout the world. 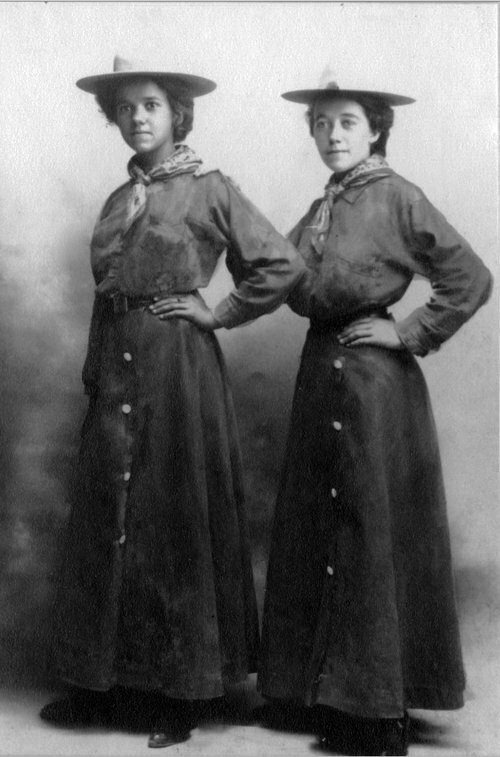 Her legacy of strong heroic scenes has helped in documenting the the remarkable role women played in the early migrating days of the church, but in the settlement of the western United States. 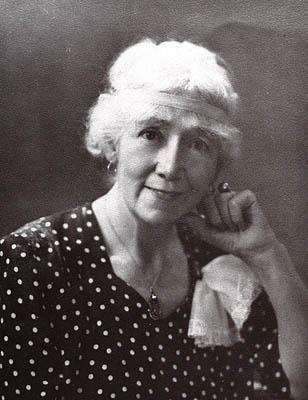 Minerva Teichert was a life-long devoted member of The Church of Jesus Christ of Latter-day Saints. Her faith influenced the subjects of much of her work. She served in various positions in the church, including Primary President. and Sunday School President. She also worked in the Young Women's organization. Her husband, Herman, was not a member of the church when the couple was married. He supported her activity in the church and donated tithing. He was later baptized in 1933. The couple was sealed the following year in the Logan Utah Temple. Minerva Teichert continued painting into her seventies but after a hip fracture, she stop painting. Leaving behind a unmatched scattering of amazing art she died in Provo, Utah, in 1976. We are proud to carry Minerva Teichert art in our gallery in Nauvoo, Il and as part of this online gallery.